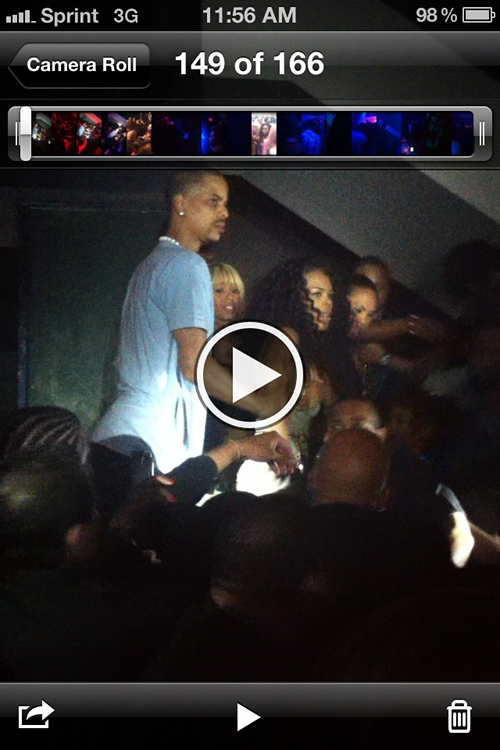 Teyana Taylor Vs Stripper Skrawberry @ Club LIV! 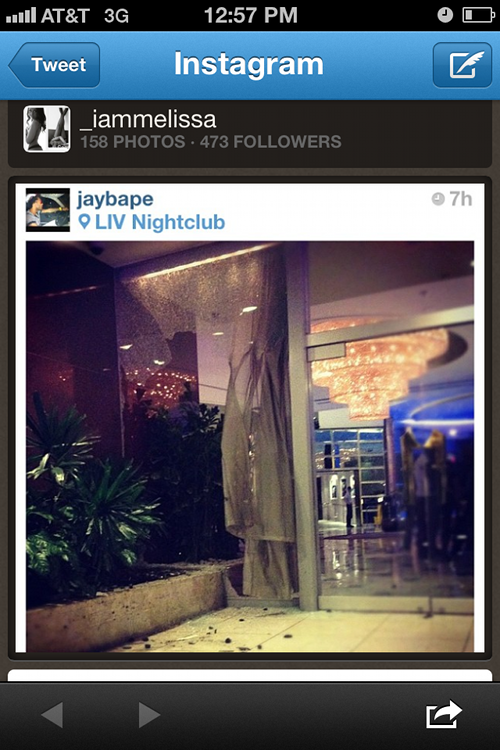 It all went down inside Club LIV where Mary J. Blige was performing for Queen Latifah‘s birthday. After making a visit to King of Diamonds stripclub where Skrawberry works, Skrawberry got jealous, according to Teyana’s friend, that Ms. Taylor was receiving all the attention. Ish talking ensued. So last night, Skrawberry tried to apologize and approached the table Teyana was at with her rapper friend Hazel-E and NFLer Bryant McKinney. Skrawberry ended up sneaking a punch to Teyana’s face. But that wasn’t all. An hour later after the club fight, Teyana and Hazel-E got jumped by Skrawberry’s sister! Tagged as Bryant Mckinney, Fabolous, Mary J Blige, Miami, Queen Latifah, Skrawberry, Teyana, Teyana Taylor, Teyana Taylor Vs Stripper Skrawberry @ Club LIV! Young Jeezy @ Liv Night Club!!! The TM103 celebration continues as Young Jeezy hits up Miami’s Liv Night Club and pops over 103 bottles to celebrate tomorrow’s release of TM:103 Hustlerz Ambition, which is in stores tomorrow!!! Tagged as Arts and Entertainment, Atlanta, Bottle, Mary J Blige, Miami, Music Video, Recreation, Samuel L. Jackson, United States, Video, Young Jeezy, Young Jeezy @ Liv Night Club!!! Off of the upcoming compilation album, Young Jeezy & CTE World presents “It’s The World,” featuring: Young Jeezy, Slick Pulla, Boo Rossini, Freddie Gibbs and Scrilla. Mary J. Blige Performance @ American Music Awards 2011!